From August 22nd until September 22nd Enna Isilee at Squeaky Books is having a HUGE bash to celebrate her birthday! 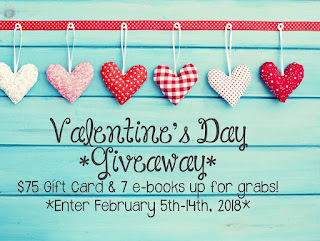 There’s a giveaway nearly EVERY DAY, tons of author interviews, and guest posts from a bunch different YA book bloggers. And I get to host a contest! 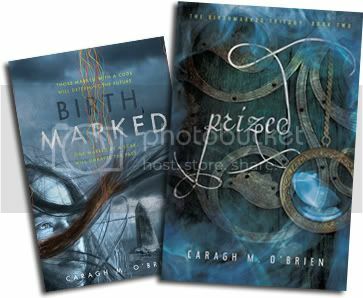 I get to give away an ARC copy of Prized by Caragh O’Brien! Entering is simple, just fill out the form (with optional bonus entries). You have until September 21st at 11:59 MST to enter. 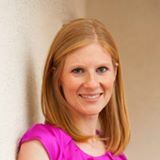 All winners will be announced on Enna Isilee's birthday (September 22nd) on Enna Isilee's blog (Squeaky Books). And today, Ennalee interviewed Caragh at Squeaky Books. You should totally go check it out. Want to know more about Prized? Click here! I want this!! If I don't win, I'll still buy/borrow get Birthmarked. Thanks for the giveaway these sound really good.